It may have looked like a former South Boston copper foundry on the outside, but last night, the West Third Street Coppersmith space transformed into a rollicking party-turned-car-show as Subaru of America turned on the ignition for its 50-year anniversary celebrations. 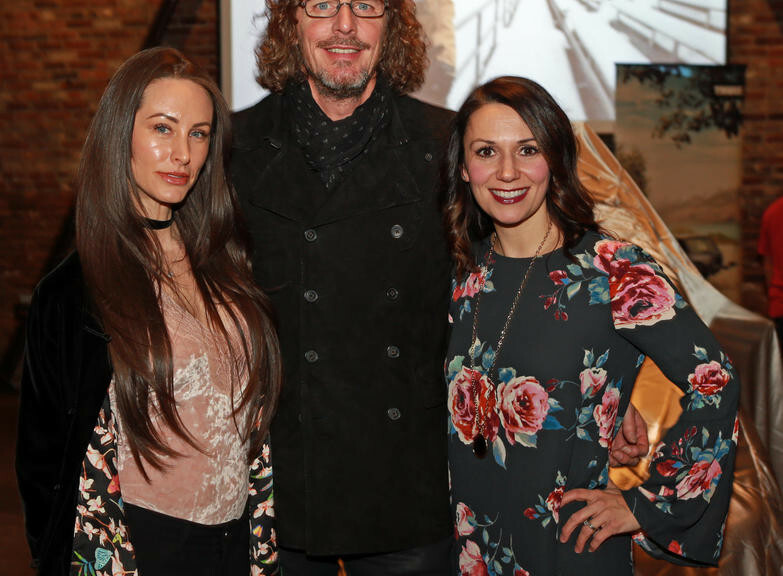 The centerpiece at the multi-floor bar/restaurant/hot spot: a 2017 Subaru Impreza parked inside and unveiled for onlookers, including car czar Ernie Boch Jr., CEO of Subaru of New England. “It’s a historic night, and we thought it’d be cool to bring people together to celebrate,” Boch told the Track. The party capped the day in which Subaru announced a series of events leading up to its official half-century anniversary on Feb. 15, 2018. Boch gave a shout-out to the ingenuity of Subaru of America founders Malcolm Bricklin and Harvey Lamm, giving big credit to “two long-haired hippies” for first bringing the brand stateside. “Either it’s going to warm the neighborhood and everything’s going to be great, or it’s going to burn the place down,” the car baron opined. “I have no idea which. It’s a 50/50 shot, and I’m just watching to see what happens,” Boch said. The party lured glam, globe-trotting NYC-based DJ Erica Rhone to spin pulsing jams, plus local pop-rock singer Natalie Joly and producer Benny Goodman (not that one), who strut through the joint in black leather and blacker lipstick. The word-of-mouth crowd also included plenty of locals, like Southie resident Neil Lettenberger, a Subaru owner who moseyed over after work at nearby Gillette headquarters to check out the new model. “They have sportiness and utility, a great jack-of-all-trades car,” said Lettenberger, who noshed on the spread of eats, from sliders to charcuterie, laid out by Coppersmith chef Jason Heard. Reps from outdoorsy companies, including international ski brand Nordica and Ski the East, a Vermont-based maker of gnarly ski and snowboard gear, were on hand to hawk wares and connect with the youngish crowd of suds-sippers and Subaru fans.